Based on reviews from 21,943 users. Learn how our rankings work or see our guide to DC sneakers. Updated Apr 2019. A skateboarding company that rapidly grew to become one of the world’s top leading sports footwear brand, DC Shoes Inc. does not hold itself back from evolution. The brand, popularly known for its high-performance and functional skate shoes that also offer style, has massively expanded its product line. Men’s, women’s, and kid’s collection for skateboarding, apparel, snowboarding equipment, outerwear, footwear, and accessories, and lifestyle shoes are among the expanded collection offered by the brand. DC Shoes also has built teams of global professionals in skateboarding, snowboarding, and in other extreme sports that helps to epitomize and intensify the DC brand. Low-top – resting just below the ankle, mostly displays simple design structures. They provide more movement freedom for the wearer and are commonly described as versatile, lightweight, stylishly independent, and primarily offered in affordable price. Mid-top – just reaching right on the ankle, mid-top DC sneakers, like any other mid-top shoes do not go higher nor lower than the ankle. Mid-top shoes are usually confusing for most as sometimes it may look like high-top shoes. These silhouettes give more ankle support but less ankle movement freedom compared to low-top shoes. High-top – additional ankle support is provided by the high-top DC sneakers as they exhibit a design structure that goes over the ankle. High-top silhouettes may offer enhancement in style as they display a more appealing image, but they also limit the freedom of ankle movement and lessens versatility. DC Sneakers – the balanced combination of wearability, style, and comfort is what powers the design of DC sneakers. Blending style that is inspired from the rich background of the brand’s athletic shoes with the decades of experience of high-technology building of performance skate shoes, DC offers a wide range of stylish sneakers. DC sneakers that exhibit an impressive style with distinctive patterns and colorways and built with premium materials which offer excellent comfort. The Lynx – The DC Lynx was first introduced in 1998 in which a handful of pairs of the shoe were released in a specific colorway. It was for the whole DC team to test the silhouette while it was still in its development process. The same colorway of the DC Lynx was then released the following year, and it instantaneously became a classic icon. Another skateboarder pro to have worn the DC Lynx is Brian Wenning. The DW1 – The DC Danny Way 1 signature shoe was introduced in 1994. It was the first DC Sneakers to hit the market. It made an impression on the skateboarding community that affected their perception of skating. As a celebration for its almost 25 years after its first release, DC pays tribute to the DC DW1’s legacy through a limited edition re-issue. DC Shoes and skateboarding are in a way synonymous with each other. The brand has worked with skateboarding professionals and has its own Skate Team that continues to evolve with the brand. DC Shoes works with its Skate Team, and together they develop performance skate shoes that meet the needs of skaters. DC Evan Smith – built with the brand’s own Impact-I technology, the DC Evan Smith shoes offer excellent board feel with enhanced protection for impact. These DC sneakers display a distinctive rubber toe-cap and a “first-of-its-kind” vulcanized sole that exhibits an original style. DC Centric S – Josh Kalis has been on the DC Skate Team for more than fifteen years. The DC Centric S is the pro skater’s signature shoe. It presents the fusion of the contemporary technology and DC’s heritage, showing the evolution of both DC and Kalis. The DC Centric S shoes are built with the exceedingly durable SUPER SUEDE toe that keeps it to last long. These low-top DC sneakers also feature no stitching to impede any tearing and blowouts. They give off enhanced breathability with its perforated detailing. DC Tiago S – a DC Pro Model of Tiago Lemos Soares. Tiago, with his fantastic video parts in which pays attention to the skateboarding’s golden era along with its vast popularity and style, has marked his place in skateboarding. The DC Tiago S is built with the brand’s innovative technologies such as the Impact-A Airbag that provides heel cushioning, the SUPER STITCH that keeps the shoe last longer, the jacquard style tongue that provides superb ventilation, and the SUPER SUEDE that is proven to offer 50% more durability along the toe area. DC Wes Kremer – The Wes Kremer signature shoes exhibit the combination of style with durability and function of a skate shoe, and it delivers Wes Kremer’s unique design. The brand built these DC sneakers with suede and leather upper construction and a customized metal eyelet. In 2017, DC along with the Thrasher magazine released a promo video called “The DC Promo Video” in which it features the people behind the DC Skate Team. As what DC described it, “the video speaks for itself,” it represents a manifestation of the whole team being in their natural habitat and doing what they do best. Danny Way– Born on April 15, 1974, and from San Diego, CA. His carries a Global Pro status and he was the founder of the DC Skate Team in 1994. Way’s stance in skateboarding is “Regular.” He got sponsorship from DC Shoes, Monster Energy, Pacific Drive Skate, Nixon Watches, Plan B, Independent Trucks, and Boneless. Danny Way’s favorite DC Shoe is the DC Mega. Josh Kalis– From Grand Rapids, MI and currently residing in either Carlsbad, CA or his hometown, Josh Kalis was born on April 27, 1976, and he joined the DC Skate Team in the year 1997. Kalis holds a Global Pro status and got sponsorships from DC Shoes, DC Apparel, Mob, FKD bearings, DGK, Plus Reserve, 9FIVE, Uprise, Gold Wheels, Grandeur, FTC, Premier, Silver Trucks, and Zico. The Goofy stance skateboarder’s favorite DC Shoe is the DC Centric. Evan Smith – From Orlando, FL on February 4, 1991, Smith is a Global Pro with a Goofy stance. His sponsors include DC shoes and apparel, Bones Wheels, Creative Life Support, Swiss Bearings, and Element Skateboards. He now resides in Pittsburgh, PA and favors the DC Evan Smith Hi Zero. He joined the DC Skate Team in 2011. Wes Kremer – Currently residing in Carmel Valley, CA, Kremer was born in Tokyo, Japan on the 27th of November, 1989. He is a Global Pro with a Goofy stance and got sponsorships from Oj’s wheels, Basimpleasy, Sk8 Mafia, Independent, Paradox Grip, and DC. Colin McKay – A Global Pro from Vancouver, B.C., and now residing in Encinitas, CA, McKay was born on the 29th of August, 1991. He joined the DC Skate Team in the year 1993. His favorite DC Shoe is the DC Legacy. The Goofy stance skater’s sponsorships include DC, Independent, Nixon, and Plan B.
Tiago Lemos Soares – Born on the 26th of April, 1991 and originally from Campinas, SP, Lemos currently resides in Jaguariúna, SP. He is a Goofy Global Pro, and his favorite DC shoe is the DC Tiago. DC Shoes, Boulevard Skateboards, FKD Bearing, Gold Wheels, Mtn Dew, Diamond, AFNTskateshop, Silver Trucks, Grizzly Griptape, and PTG Crew sum up his sponsorships. Brian Wenning – Currently residing in Jersey Shore, Wenning is originally from Monmouth Beach, New Jersey. He was born on February 22, 1981, and is now a Global Pro with both Regular and Goofy stance. His sponsorships are as follows: DC Shoes and Habitat Skateboards. Wenning’s favorite DC Shoe is the DC Lynx. Madars Apse – Joined the DC Skate Team in 2010, the Global Pro lives currently in Riga, Latvia. He was originally from Ventspils, Latvia and was born on November 19, 1989. He got sponsors such as DC, Element, Perus Wheels, Ashes Grip, and Red Bull. The Goofy skater’s favorite DC Shoe is the Wes Kremer 2. Cyril Jackson – Born on November 18, 1990, and lived in Cleveland, OH to Bakersfield, CA, and now resides in Studio City, CA. He joined the DC Skate Team in 2012, and his favorite DC Shoe is the DC Council. This Goofy, Global Pro got sponsorships from DC Shoes, Spitfire, Loud Headphones, Baker, Shake Junt, Happy Hour, and Independent. Tommy Flynn – Originally from Brisbane, Australia and born on the 5th of October, 1988. He now resides in Los Angeles, CA. This Global Pro’s favorite DC Shoe is the DC Astor. This Goofy skater’s sponsors include DC Shoes and Apparel, Independent Trucks, Stereo skateboards, Picture Wheels, and Modus Bearing. Chase Webb – Started skating in 2000 and his favorite skaters include Chad Muska, John Cardiel, and Geoff Rowley. The Global Pro skater is originally from Murrieta, CA and he got sponsorships from DC, Thunder, Mob Grip, Active, Pizza Skateboards, and Spitfire. This Regular Stance’s favorite DC shoe to skate with is the DC Evan Smith. Thaynan Costa – Born on December 9, 1994, and originally from Sao Paulo, Brazil. He now resides in resides in Lisbon, Portugal. He joined the DC Skate Team in 2012 and got sponsorships from DC, Enjoi, and Red Bull. Costa is a Regular Stance, and his favorite DC Shoe is the DC Evan Smith. Josh Gardner – A Regular stance, Global Pro is originally from Summit, NJ and was born on the 14th of January, 1992. This Regular, Global Pro’s favorite DC Shoe is the DC Wes Kremer and the DC Evan Smith as he also stated that Kremer and Smith are also two of his favorite humans. His sponsorships include DC Shoes, OJ, Broson, MOB, NJ Skate Shop, Creature, and Skeleton Key, and Jimbucha. Alexis Ramirez – Started skating in the year 2006, this skater from San Diego, CA is a Global AM with a Regular Stance. His favorite skaters include TomPeny, Tommy Sandoval, and Eric Kosto. His favorite DC Shoe is the DC Wes Kremer 2 and his got sponsorships from DC, Mob Grip, Quantum, JSLV, Sk8mafia, Bronson Speed Co., Spitfire, Slappys Garage, and Thunder. John Shanahan – This Global Am with a Regular Stance started skating in the year 2003. Shanahan is from East Stroudsburg, PA and his favorite skaters include Rob Welsh, Josh Kalis, and Stevie Williams. The DC Shoes that he skates in are the DC Josh Kalis Lite, DC Manteca, DC Syntax, and “any OG shoes” that he can get. His sponsors are DC, Homebase Skateshop, Venture, VintageSponsor, and DGK. Damon Way and Ken Block met at a class in a community college that they both go to. They started a sequence of business start-ups. In 1994, the DC Shoes Inc. was established and founded by both Way and Block. 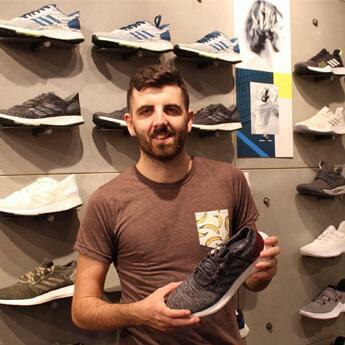 Before the company settled with the Korean manufacturer known as the Samil Tong Sang Company for the production of their first set of shipments of shoes, they first had a contract with Vans and then Etnies. Snowboarding was a “natural extension” for the brand as also in the fall of 1994, for the snowboarding weatherproof outerwear line another brand named “Dub” was introduced. It was said in a survey that half of the skaters also do snowboarding and 40% of the skateboarding community rode BMX bikes. In the following year after its launch, DC had a $7 million-revenue that is double compared to the previous year. The brand was also known as the first skateboard shoe company to use broad professional endorsements. By the year 1996, eight pros filled the DC Skate Team, and in 1997, they went on a world tour. By that same year, motocross and surf teams were also convened by the brand. DC continues to expand and successfully made its way into the 2000’s keeping a solid reputation as one of the leading skate shoe brands. It had globally distributed its products by the late 1990’s. In 2004, DC was obtained for $87 million by Quicksilver which then boosted up the company to reach $1 Billion in revenue. Can I wear the DC skateboarding shoes for casual use? Yes. DC Skateboarding shoes can also be worn for casual use as they are built with both functionality and style. 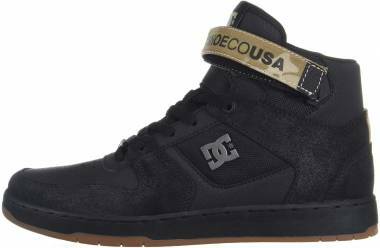 Although DC skate shoes are designed explicitly for skate purposes to provide high-quality performance and meet the needs of skaters, they are also designed with style that fits well in the lifestyle category. Many have worn DC skate shoes solely for casual purposes, and these silhouettes have blended in effortlessly with the fashion category. How do DC sneakers fit? DC sneakers fit through length or size and width. One must know their exact size and the width of their foot as some may have wide feet and would not favor the medium width that is commonly offered for shoes. Are there any DC casual kicks that are exclusive to women? Yes. DC offers the women’s collection in which features DC sneakers for women. Various options for style and colorways are offered in the women’s collection that gives the buyers choices and helps them pick the one that suits their taste. Are DC shoes also offered at a discounted price? Yes. Like any other brand and any other footwear products, DC sneakers are opted for being offered at a discounted price whether it be that the shoe is included in a promo done by the brand or the shoe is subject to being phased out. Is there any customization for DC sneakers? Customization for DC sneakers is available. 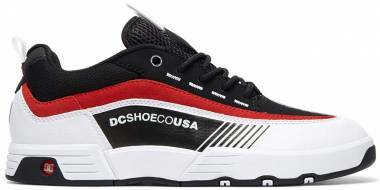 There are websites or online companies that offer customization for shoes including DC Shoes. One must provide their design or submit their design template to the customization company with their pair of DC sneakers. 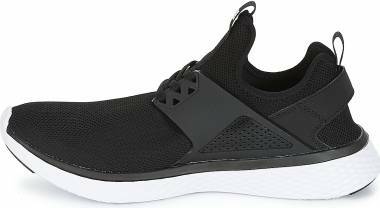 Do prices vary for DC casual shoes of the same style? Prices for the same DC sneakers style may vary depending on the materials used for the iteration of the model or if it is a limited edition release. Are DC sneakers really durable? DC sneakers are built to endure abuse and to last longer with the brand’s own innovative technologies. But the lifespan of the shoe may depend on how the wearer takes care of his pair of DC sneakers. The shoe model may also be a factor as some may use less durable materials compared to other DC shoe models. Where are the DC shoes based? The main base of the DC Shoe Inc.is now located in Huntington Beach, California. Do DC sneakers only have athletes/pro skaters do its endorsements? No. DC Shoes may have been known for their global skate pros endorsements, but the brand also has teamed up with other sub-cultures. 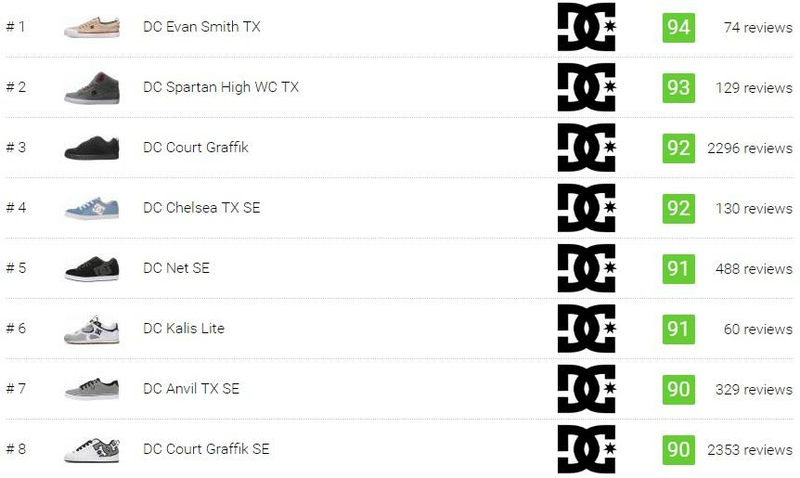 DC has partnered with some musicians that also led approvals for the brand. To name one is Linkin Park in which the brand has worked with, and they produced signature shoes. DC also has sponsored tours for other musicians.